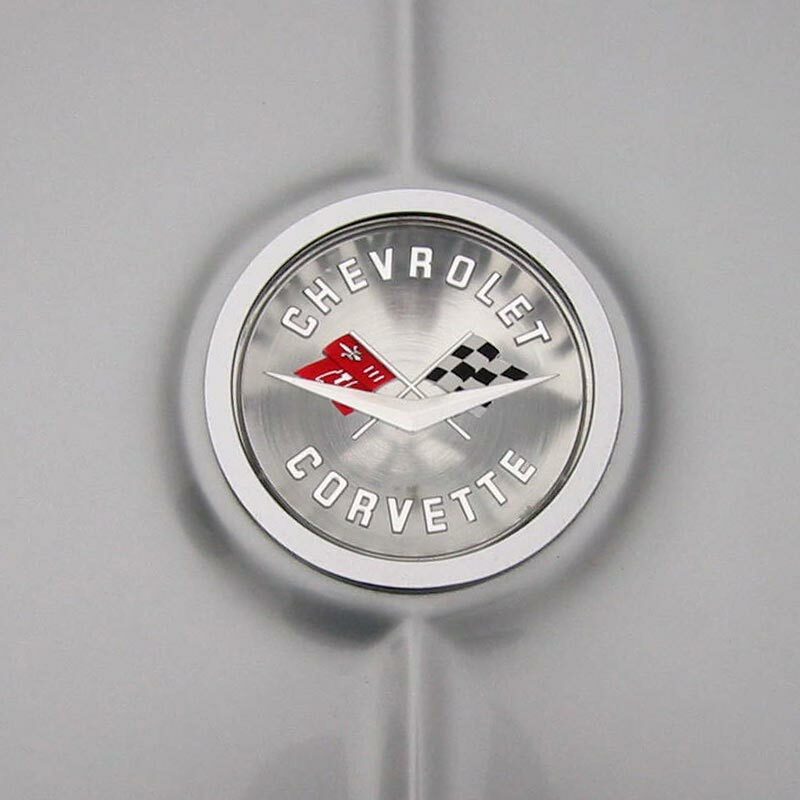 Above left: The Corvette badging was updated and featured a "V" over the crossed flag. 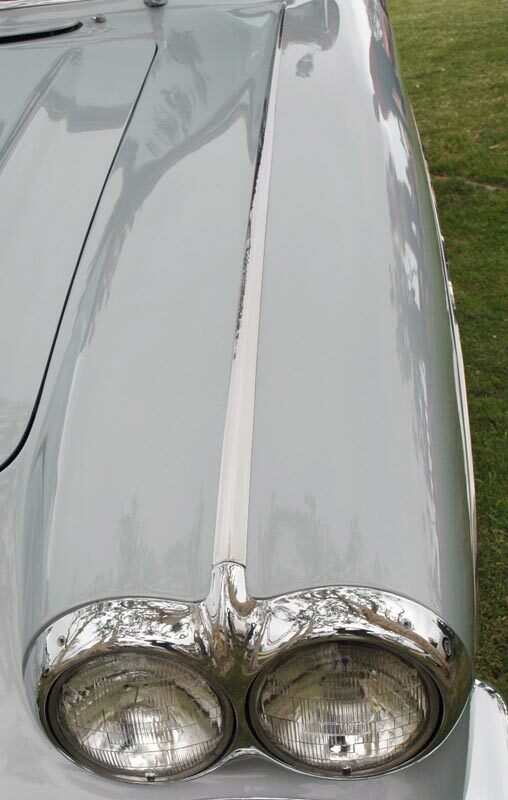 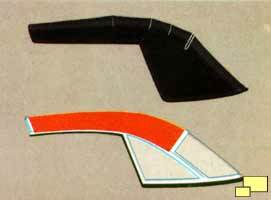 Middle: The ever-popular spear centered on the fender continued. 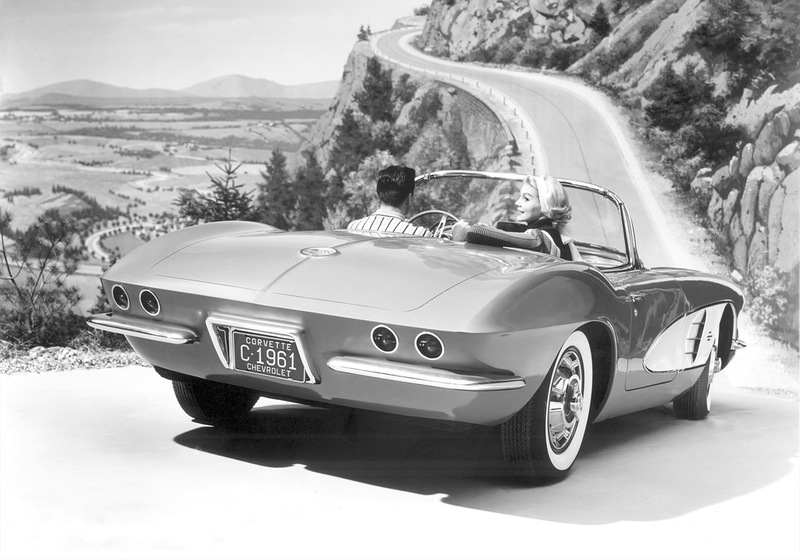 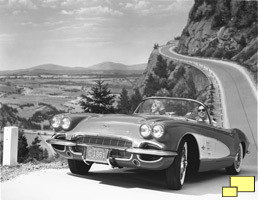 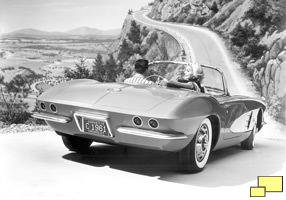 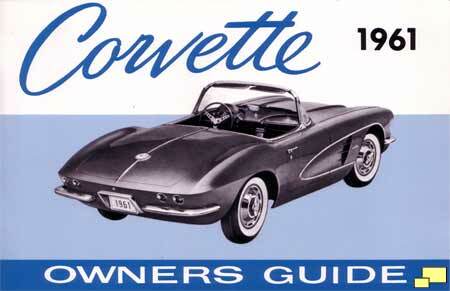 Right: (Brochure image) As with previous years, Corvette buyers had a choice of either a hard or soft top. 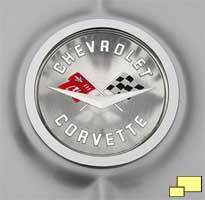 If they wanted both, option 419 was checked and the price went up $236.75. 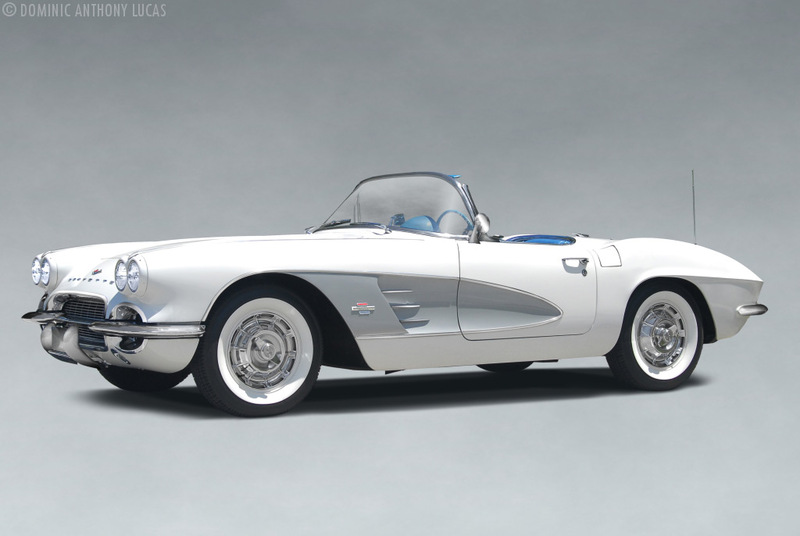 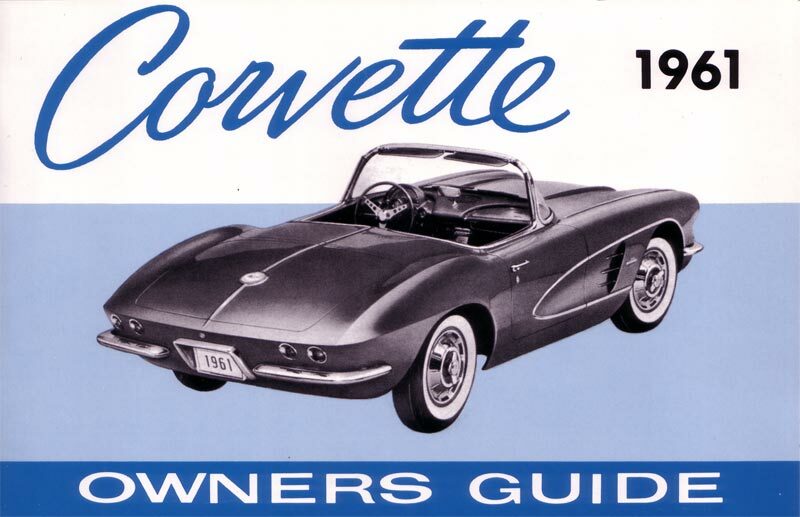 Below: The 1961 Corvette owner's manual.